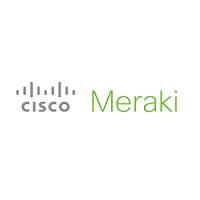 It is the best time to purchase Cisco Meraki! Home → News → It is the best time to purchase Cisco Meraki! This may be the best time to invest in Cisco Meraki gear. Whether you need to add to your network, get started with new gear or need a full stack, now is the best time to invest in your network. It is year end for Cisco! That means the best possible pricing for our customers as we can get bigger discounts and account managers have more flexibility to end their year strong. We need to get those registrations in to qualify, so please don’t wait until the last minute. We have to have the orders turned in by July 21st to take advantage of the potential savings. The First Year on Us promotion is just about to expire! This provides an extra year of licensing on any new equipment purchase with a 3yr or longer support agreement! The savings is huge! This promotion ends on July 27th, so may as well try to combine it with year end discounts to maximize your savings. Finally, for all of you that are thinking there is just no way to work this into the budget this year, I bring you Cisco Capital. They have multiple leasing promotions going on that could allow you to push forward with upgrades while protecting your cash flow. All financing options are going to be based on your individual financial status, so if you are interested, please let us know so we can get the process started to see which deals may apply to you!